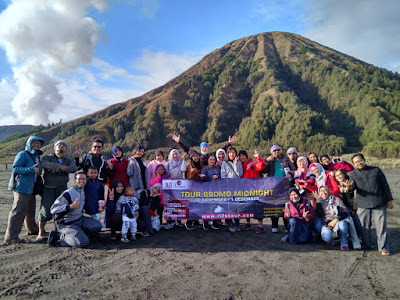 Malang Bromo Tour Package 2 Day 1 Night 2019 - You are planning a holiday to Malang or Bromo and confused with tourist destinations to be visited, and do not know with accommodation.? Don't worry we are the best solution, for those of you who plan to enjoy a holiday with your beloved friends or family. 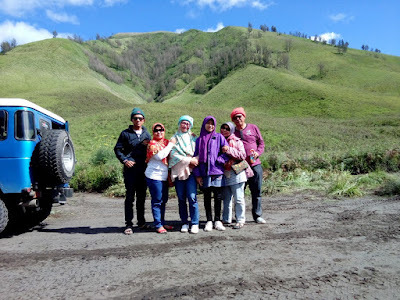 Because we are specialists who have long been engaged in the field of bureaus or bromo tour packages, Malang and, Ijen Crater which is around East Java. Well, therefore you don't need to bother or mess around with finding hotel relations, or accommodation for typical Malang food or tourist destinations around Malang Batu. Therefore, we are here to help with all the travel needs and trips that you will visit, and we have provided various attractive tour packages for you to enjoy. 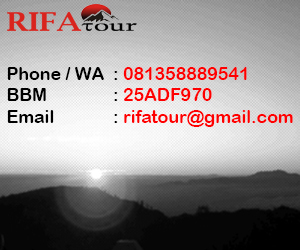 We are from Rifa Tour & Travel, one of the most trusted travel destinations around Surabaya, Malang, Banyuwangi and so on, so the holiday is well organized and on time, therefore your vacation is not wasted, and poor Bromo tour packages, can also be combined with the Bromo Ijen Tour Package All right, just go on traveling companions and of course you are already curious about tourist destinations wherever you visit, if you have limited time for a vacation you should choose the Bromo Midnight tour without a stay. By choosing malang bromo tour package, what we provide is definitely the most interesting and popular tourist spot around Malang Batu. It is definitely suitable for all teenagers and families, here are the details of malang bromo tour package 2 days 1 night. 8.00 - 8:30 Am : Pick up participants, at airports / stations around Surabaya or Malang according to the agreed schedule. 8.30 - 5:35 Am : After a meeting point with our drivers, participants are then taken to a local restaurant or restaurant. 10.00 - 16.00 Am : Travel to Jatim Park 2 and Agro Tourism Pick Apple. 16.30 - 17.00 Pm : Travel to hotel / homestay for bathing and cleaning. 18.00 - 18.45: Drivers take participants to a local restourant dinner typical of Malang Stone. 19.00 - 19.30 Pm : Tour to BNS (Batu Night Spectacular). 21.30 - 22.00 Pm : Participants escorted back to hotel for rest. 23.30 - 00.00 Pm : Preparation and journey to transit point over Jeep in Sukapura via Probolinggo. 02.30 - 05.00 Pm : Travel to Pananjakan 1, to see the beauty of the sunrise right behind Mount Bromo and Semeru. 06.00 - 07.30 Pm : Continuing the journey to the Mount Bromo Crater. 09.00 - 09:30 Pm : Return to Jeep transit, and travel to Malang Batu. 11.30 - 12.00 Pm : Lunch at a local restaurant. 12.30 - 16.00 Pm : Travel to Angkut Museum and, Malang souvenir center. 18.30 - 19.00 Pm : Then participants are escorted to, Airports / Stations, Hopefully Good Luck and See You Back Next Time. 20.00 Pm : Malang Bromo Tour Package 2 Days 1 Night Completed. The Above Route is Flexible, Can be Changed or Adjusted Again, More Information Please Contact Our Costomer Service. Participants 2 people IDR 1,800,000 / Pax. Participants 3 People IDR 1,400.00 / Pax. Participants 4 People IDR 1,250,000 / Pax. Participants 5 People IDR 1,100,000 / Pax. Participants 10 People IDR 950,000 / Pax. Participants 15 People IDR 925,000 / Pax. Participants 25/30 People IDR 900,000 / Pax. Hotel * 3 (Whiz Prime / El Hotel / Grand Seulawah). Tourist Ticket Entrance, As Per the Route Above. Free Documentation if Participants are More than 10 People. Prepare a Warm Hand Shirt. Prohibited, Dispose of Trash, In the Tourist Area. This site was created by Yoshiwafa and Hariyanto Riyan, you can find our main site at www.rifatour.com.